Building on the success of the first ECS Data Sciences Hack Day at the 232nd ECS Meeting this past October 2017, ECS is pleased to offer another opportunity at the 233rd ECS Meeting in Seattle this May. 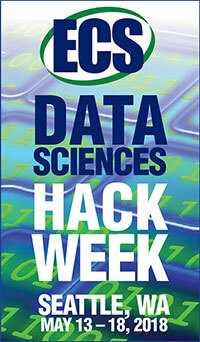 ECS Data Sciences Hack Week is the Society’s foray into building an electrochemical data sciences and open source community from the ground up. Dataset sharing and open source software have transformed many “big science” areas such as astronomy, particle physics, synchrotron science, protein and genomic sciences, as well as computational sciences. 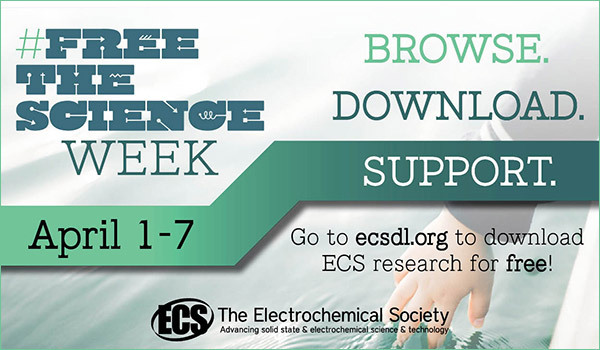 The goal of this event is to increase awareness and impact of data science tools, open source software, and shared datasets in electrochemistry by bringing together people from different backgrounds to collaborate. Data science tools and approaches have the potential to transform bench science like electrochemistry. The critical need is to build a community of electrochemical data scientists, the people who will contribute to a growing library of shared experimental and computational datasets, and who develop and adapt open source software tools.